Macaroni and Cheese – comfort food at it’s best! The original post I wrote for my Macaroni and Cheese recipe was entitled It Ain’t Fancy. I shared the story of my Grandma Phyllis and her recipe for Mac ‘n Cheese. My Grandma & Grandpa didn’t have a whole lot of money and they made due with what they had and instead of dishing out extras, they dished out a whole lot of love. And I think that’s how it goes with a lot of families. Still to this day when I make Mac ‘n Cheese I giggle about Grandma Phyllis and the sense of humor she had and her smile and appreciate how she loved her family. Today is different. This isn’t the normal kinda meal you see on my site. I mostly stick with healthy fresh food – not a whole lot of pasta or heavy food. Like I said, today is different. It’s the holidays – I’ve decorated our home, I’ve pulled out ornaments and memories. Thinking about times past, so I’m going to share this meal for Meatless Monday – Macaroni and Cheese. I’ve taken Grandma Phyllis’s recipe and changed it just a bit. I’m looking for a little more POW – not just cheesy goodness but also some big flavor and I got it by making just a few tweaks to her recipe. Don’t worry though… I haven’t ruined it 😀 I’ve added just a few things that make it a touch better (in my humble opinion!). Things like hot sauce, powdered mustard and grated cheese. Ain’t much more comforting than a bowl of Macaroni & Cheese! Making the sauce is easy – after cooking the pasta use the same pot and begin by adding butter, cheese, half and half and the spices to a large heavy pot – place it over medium heat. Cooking and whisk everything together until it becomes smooth and creamy – add the pasta back in and wa-la! You are done! It’s simple, an easy 15 minute meal. No baking involved! Macaroni and cheese doesn’t make a weekly occurrence in our home. It’s saved for special times when you need just an extra amount of <3 !! Macaroni and Cheese is the perfect comfort food. I understand there's more polished and healthier ways to make it, but when I'm eating Macaroni and Cheese I want it to be the best. Let's face it, it's not healthy to begin with so for those few times each year you do enjoy it, this is worth it! In a large stock pot with lots of water (that's been salted)* cook the pasta according to package directions to aldente'. Drain the pasta well but do not rinse. 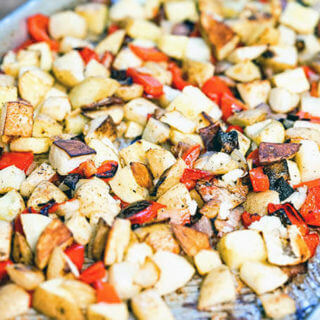 While the pasta is draining, add all of the remaining ingredients to the pot. Stir and whisk it well until it melts completely. It will become smooth and creamy. When the sauce is completely smooth - about 5 minutes - add in the cooked pasta. Mix well to combine.. I left Grandma Phyllis’s recipe just like she made it here below! Macaroni and cheese doesn't make a weekly occurrence in our home. It's saved for special times when you need just an extra amount of love! While the pasta is draining, add the butter to the stock pot, when it melts add the cubed Velveeta Cheese & pour the cooked pasta on top. Give it several good stirs. Add 1/2 cup half & half and continue stirring until the cheese melts thru. Season with salt & pepper. If the cheese sauce for the pasta is too stiff, add more milk. That's it, it's done and ready to serve! *How much salt do you put in the water when cooking pasta? When you’re cooking a pound of pasta you should have lots of water – 5-6 quarts, add at least 1 tablespoon – I add a small palm full to the water. It will help flavor the pasta. Also, when you first add pasta to the boiling water, give it a good stir. Stir it several times during the cooking process. 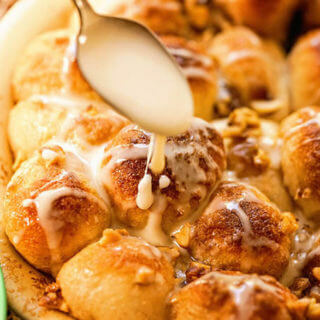 Stirring it will help exude the starch which helps keep it light & fluffy! Macaroni and Cheese – comfort food and cheesy goodness! There’s more polished & healthier versions but I’m keeping it easy & delish! 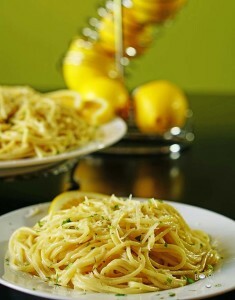 If you like pasta, be sure to check out my recipe for Creamy Lemon Pasta. 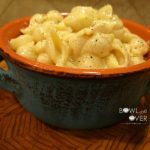 it’s one of the most popular recipes on my site – lighter than my Macaroni and Cheese recipe – incredibly easy & delicious! I love a good mac n cheese recipe! This one looks so creamy I’d bet it would be hard to eat just one bowl! My girls LOVE mac and cheese, they would eat it every day if I let them! This looks like a great version, can’t wait to try it. Mac n Cheese is ALWAYS a good choice! 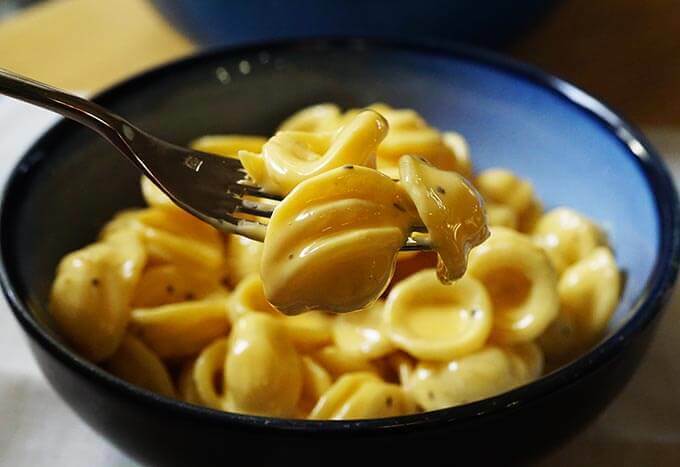 It never goes out of style and yours looks wonderfully creamy and cheesy! Mac n Cheese – that’s so much! Thanks for stopping by Kristy! 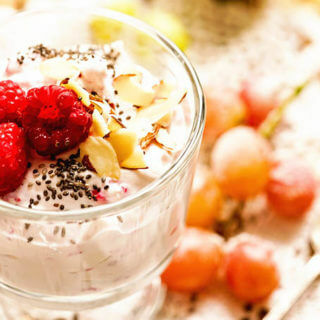 This looks so creamy-licious – comfort food deliciousness in a bowl! I have never met a mac & cheese I didn’t like. OK, love. OK, devour. 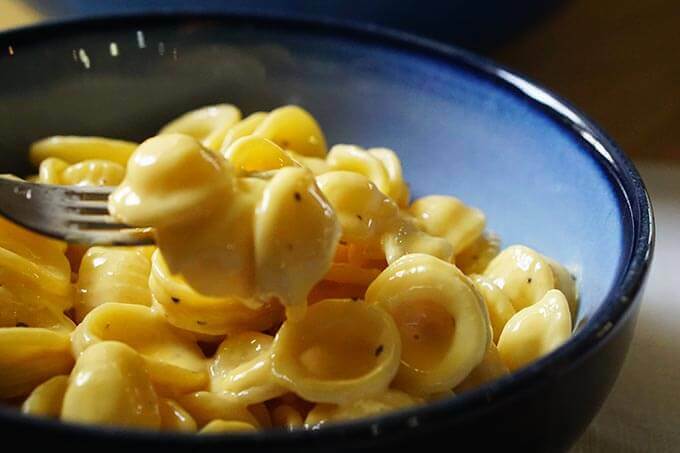 :o) And let’s face it–while Velveeta ain’t good for many things, it’s PERFECT for a gooey and creamy mac & cheese. Yum! Oh yes indeed! I agree 100% – thanks for stopping by Dee Dee! I love creamy mac and cheese. This one looks like a winner! I could so go for some of this now! Thanks for sharing at the Say G’day Party! Pinned all and look forward to seeing you on Saturday! Thanks so much Joanne! Always look forward to your party – see you soon! This looks so yummy. My son loves Mac and cheese. Will try your version soon for him. 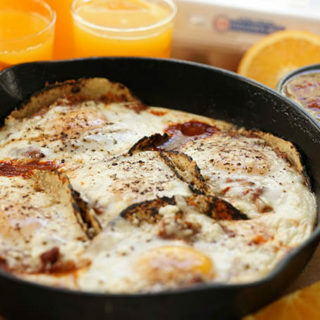 You HAVE achieved the “POW” factor with this recipe!! All that melted cheese is making me drool and hungry. Yum!! AWESOME!! Drool-worthy is the best description ever! Thank you Healing Tomato!!! 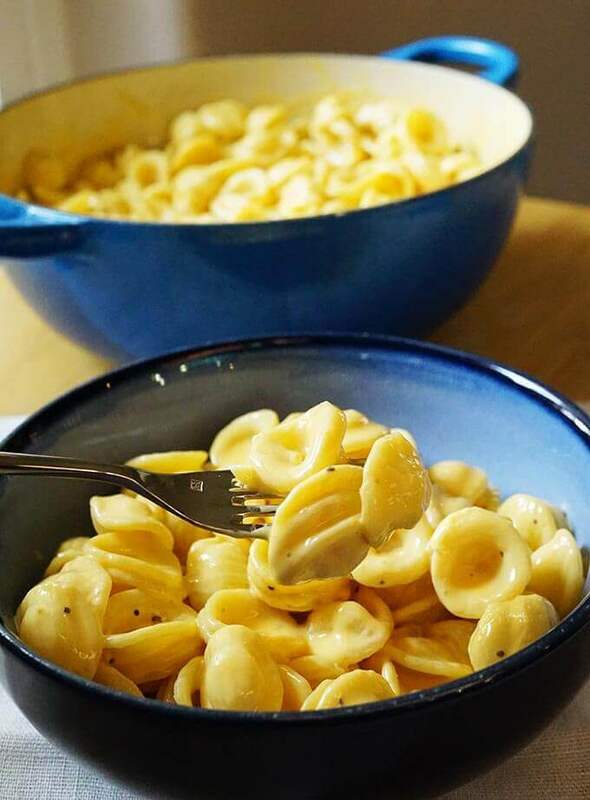 Mac and cheese is my ultimate comfort food! 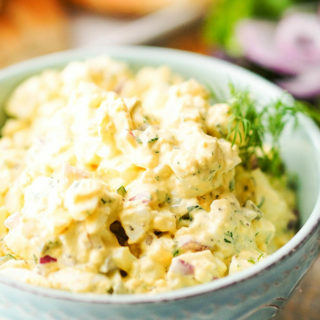 Your version is just how I like it–simple, fast, and full of delicious cheese! 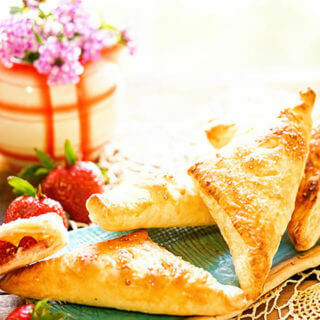 yum, yum, yum – best kind! Thanks Elizabeth!! 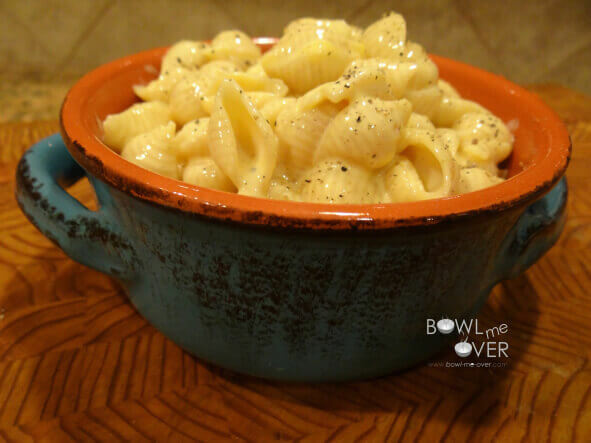 I adore mac and cheese and this super creamy version looks so easy to make! I can’t wait to give it a whirl! Report back Luci, I’d love to hear what you think of this yummy meal! Fabulous comfort food. I love that you’ve added a kick from hot sauce as well. Thanks Kate – love that spicy bite! That is real comfort food! I love mac n cheese but haven’t made it in ages!